India is a country where every state and every region has its own signature dish. While strolling through the cities and towns in India these delicacies will be a real treat for your taste buds. This is the burger with an Indian twist. It is a quick fix for your hunger pangs. Paav - the bread is stuffed with Vada (smashed potato with butter), fried chilies and masala. 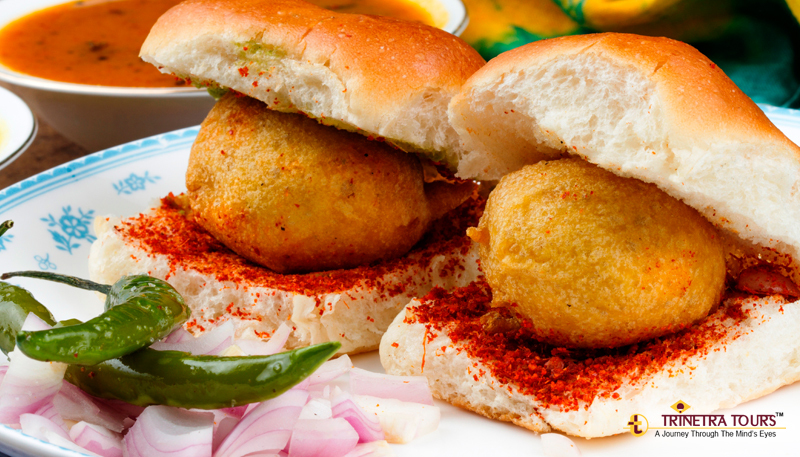 There’s no better place to enjoy Vada Paav other than Mumbai itself. 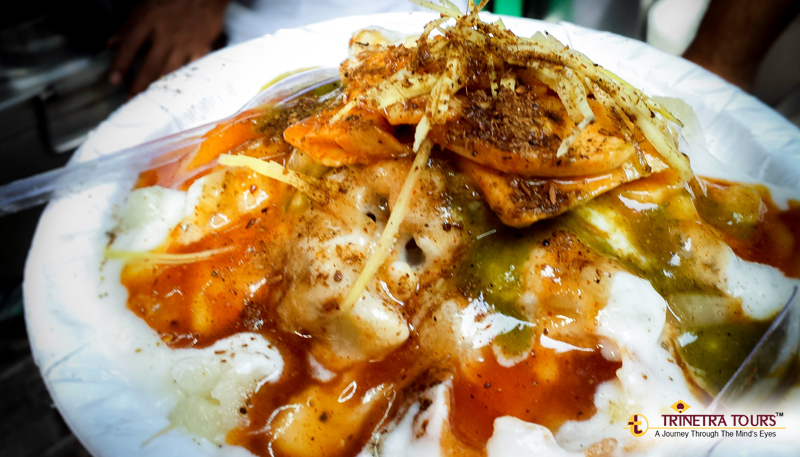 Dilli ki chaat, better known as Papdi Chaat is one colorful delight with a startling blend of flavors. It is sweet, it is sour, it is spicy, it is crunchy, it is soft, it is topped with curd, green chutney, and tamarind chutney. Oh so beautiful and oh so yum! 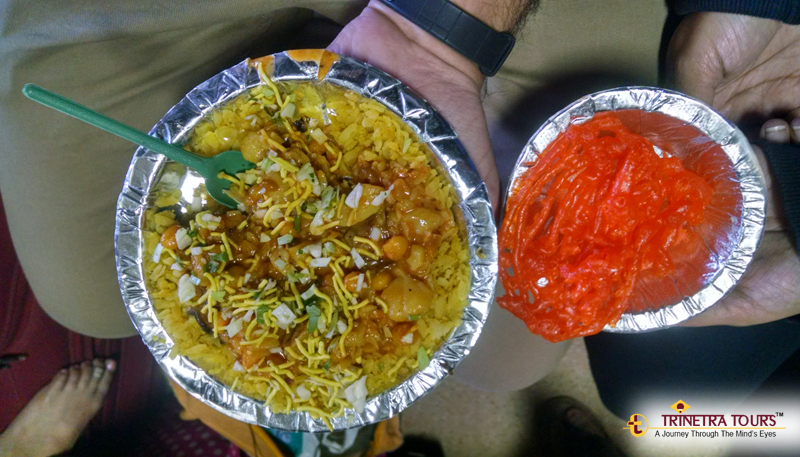 One should never miss digging into the best chaat in the streets of Old Delhi. 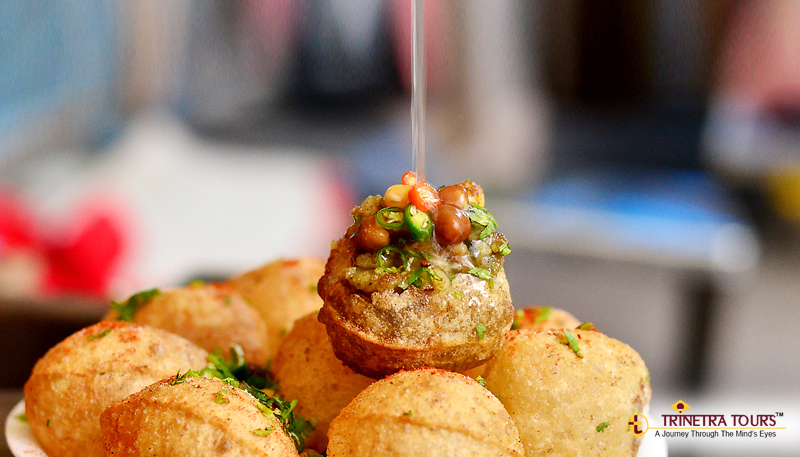 Puchkas are famous all over India with various names such as paani poori, Golgappe etc. The crispy Puchkas are served with a mixed stuffing of potato, lentils and masalas dipped with spicy as well as flavored water. Once you taste these puchkas in Kolkata we bet you’ll never be able to resist it again. Hyderabadi cuisine is much similar to Mughlai cuisine; therefore you can expect a whole lot of flavors and different cooking styles. 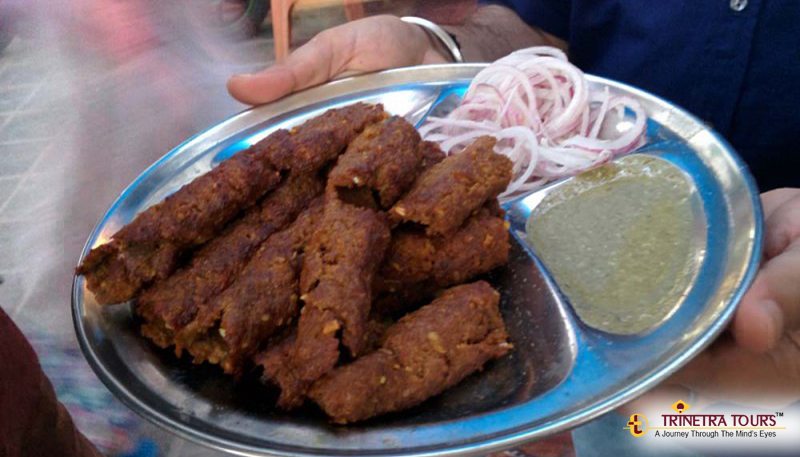 Authentic Hyderabadi Dum Kebab is flavored minced meatloaf grilled on a skewer. 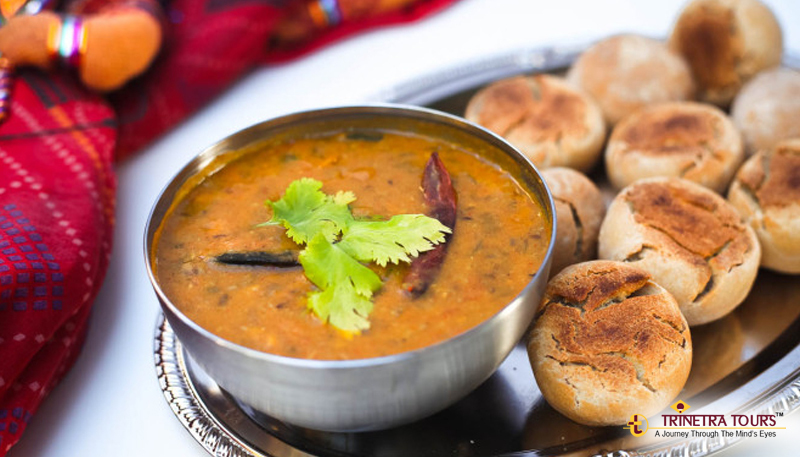 Rajasthani cuisine is incomplete without this delicacy known as Dal Bati. Bati is baked Indian bread dipped in a lot of ghee and served with spicy dal which is a mix of 5 types of grams. 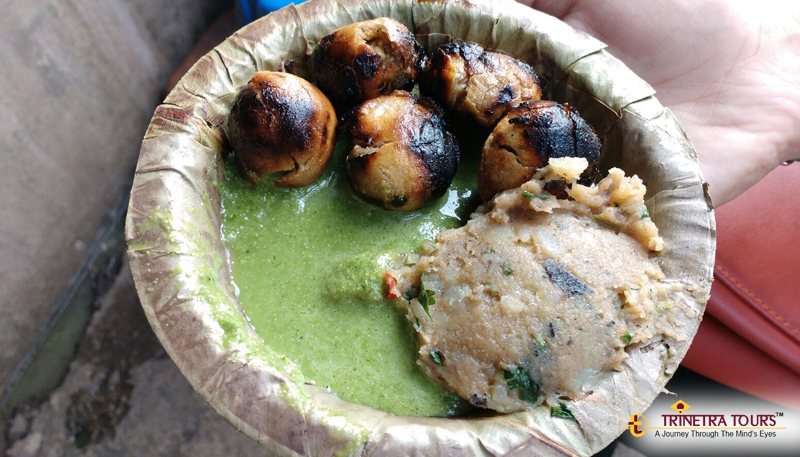 Litti Chokha is perhaps one of the simplest yet delectable dishes from Bihar. Litti is cooked from flour (made with different grams) which is eaten with spicy Chokha, a curry cooked from mashed potatoes or brinjal and is flavored with spices. Litti Chokha can’t be complete without a spoonful of Ghee (clarified butter). Momos are dim sum's stuffed with veggies or chicken. These are actually native to Tibet & Nepal that’s why you’ll get the best Momos in Dharamshala as most of the population here has migrated from Tibet. 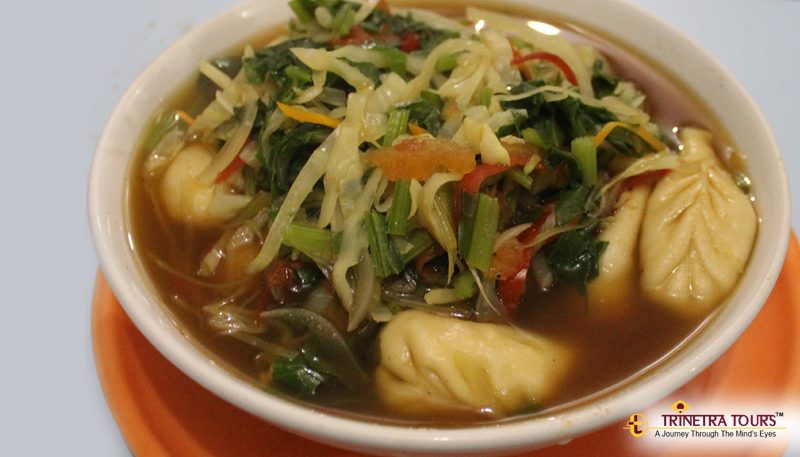 Another Tibetan dish, Thupka is a soup made with noodles, veggies, and spices - perfect for cold weather. Punjabi cuisine is known to be flavorsome and richly spiced. The generosity of the people of Punjab can be realized in their hospitality and cuisine. 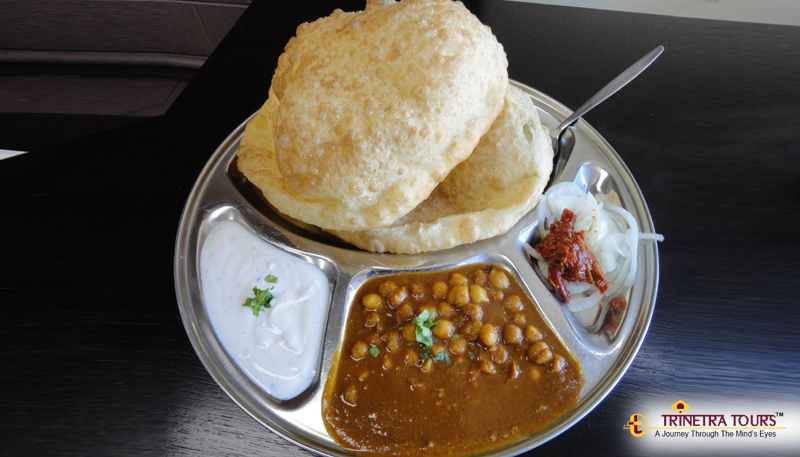 Chole Bhature is a lip-smacking breakfast dish which is a chick pea curries cooked in spices and savored with deep fried Indian bread. However, Chole Bhature can be easily found on the streets almost anywhere in the country but the original taste of Amritsari Chole Bhature remains unparalleled. This Sweet & Savoury combo makes for a delicious and satisfying breakfast. Poha is flattened rice tempered with curry leaves & choice of vegetables which are topped with crunchy namkeen (savoury), roasted peanuts and lemon juice. Jalebi is an Indian dessert made from the batter which is deep fried and then soaked in sugar syrup. This combo is breakfast is hugely popular in Madhya Pradesh.